Movies are shown on a 100" wide screen usually accompanied by a potluck, so please bring a snack to share! Friday May 22 ... Free Film! Register... Please take a moment to complete the registration form to let us know you're coming. The Connection: Mind Your Body... 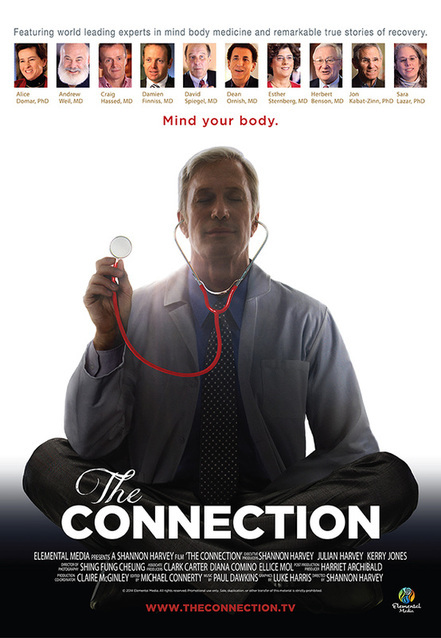 The Connection is a film about how frontier research is proving that there is a direct connection between your mind and your health. The film features scientists, researchers, writers and doctors, as well as remarkable true stories of people adding mind body medicine to their healing toolkit to recover from illness. Movie starts promptly at 7:30... please arrive 5-10 minutes before to settle in. One World offers a free film every month! 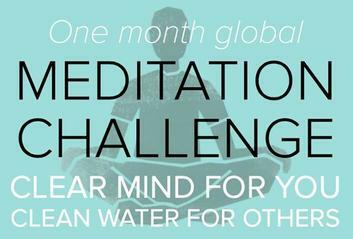 This May, there's no cost to see The Connection in our yoga space, but please consider making a donation to Mindful in May, an online cause helping to raise funds to build clean water projects in developing countries. Herbert Benson, MD: Discovered the Relaxation Response that helps counter the harmful effects of stress. research to develop the Mindfulness Based Stress Reduction (MBSR) program. of coronary heart disease and prostate cancer can often be reversed by making comprehensive lifestyle changes. Andrew Weil MD: A world-renowned pioneer in the field of integrative medicine. the brain's stress response on health. brain activity and changes in brain structure. Alice Domar PhD: The first researcher to apply mind body medicine to women with infertility.